At a Perfect View Window Cleaning, we have been serving the Eden Prairie, MN area for many years. We really get windows so clean that you will think they are open. We are not a quick in-out, off to the next job kind of company. We are a high end, high quality, yet affordable window cleaning company. We take our time while washing each and every window in your home. Cleaning screens correctly is just as important. Without clean screens, your windows wont be clean! Give us a try! Eden Prairie has a unique mix of new and older homes which have different types of windows. At a Perfect View Window Cleaning we are knowledgeable and equipped to handle the oldest of windows and the hardest to reach. For large homes we will utilize a large crew of window cleaners to get the job done quick so you can move on with your day. For smaller homes often I will personally be cleaning your windows and gutters by myself. Gutter cleaning is extreemly important. If you don't have your gutters flowing correctly, you could have damage to your roof, fascias, soffits, walls, and basement. Pressure Washing is another specialty of ours. 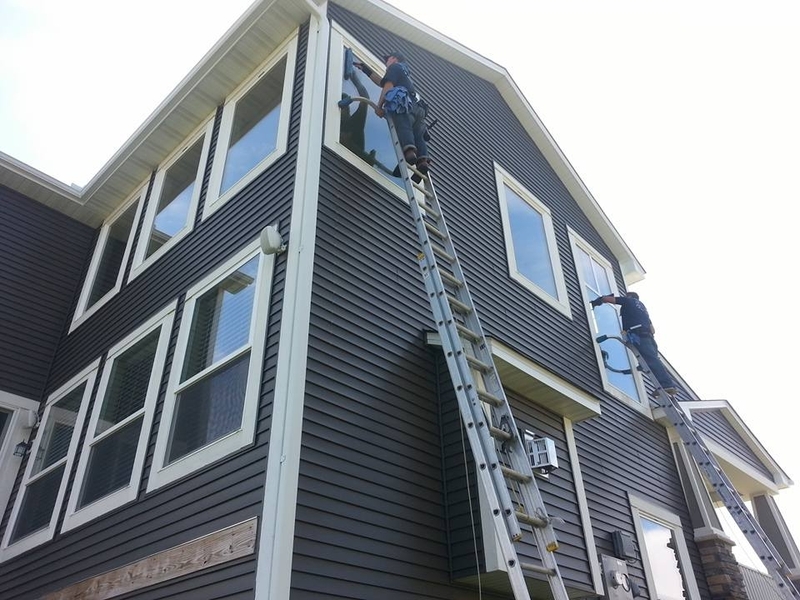 We can clean up your siding, decks, walkways, and driveways.